Ask most Professional Photographers and they will tell you how different (and sometimes difficult) it can be to get a shot of their own child! Try that times 3! Not perfect but at least they are all acting like they love eachother..haha We did this little commercial shoot for YouCanMakeThis.com If you’ve never been to the site its great! There are lots of wonderful ebooks on there on how you can make all the cute custom kids clothes and accessories you see! Of course I’ll stick to the photography as I can’t even use hot glue without getting burnt! Mari - You have the sweetest girls!! Died laughing on Anna’s pic….ROFL. She is sooo cute!! Mellissa - What a lucky mommy you are! Such gorgeous girls. I like the array of expressions in #2. Danna - hahaha so fun…they are so pretty. Michelle Walker - ha ha! What an accomplishment….LOVE these! 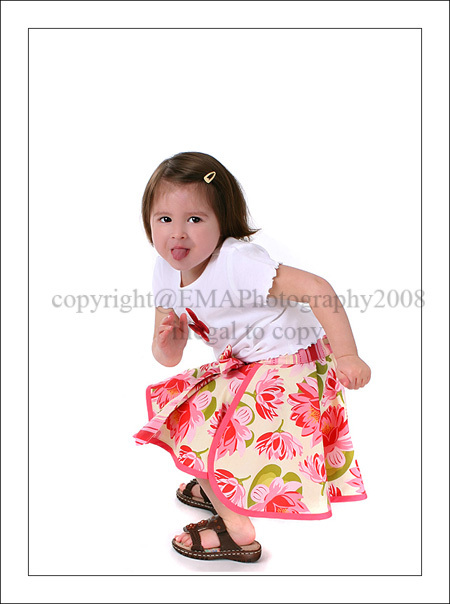 Kirsten - I love how you manage to capture so much personality of each subject in your images – absolutely adorable! Kimberly Hill - ROFL!! I love seeing Miss Ham get down with her bad self. kathy wolfe - omg! they are adorable!! I bow down getting all your kids in one shot – happy – cooperating!! kudos!!! m - You have such beautiful girls!!!! Totally adorable. Shellie Gansz - LOL! Congrats to you for capturing this!!! Your kids are cute! Thanks for sharing your precious daughters. 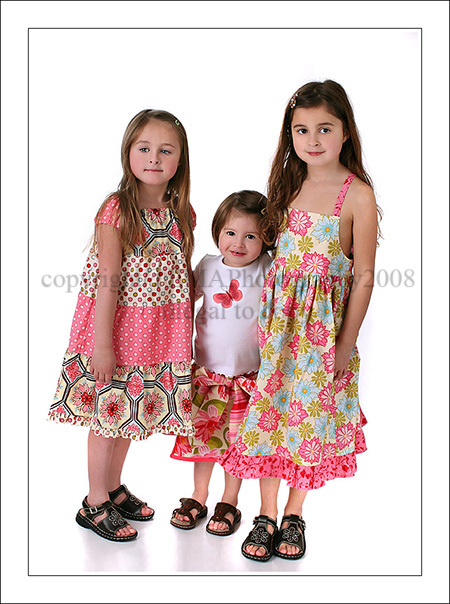 Meggan - Your girls are adorable! Beautiful pictures! Angela - Lucky! My kids act like I’m torturing them! Your girls are beautiful and I love the sassy ham shot! PattiS - Gorgeous girls! LOVE the last one! 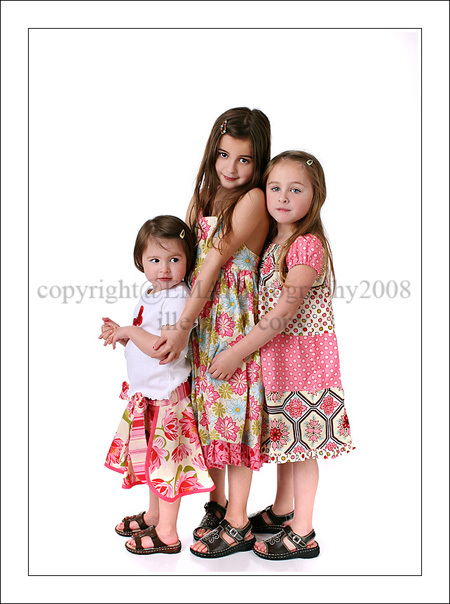 Anna-Karin - You have some beautiful little girls! Love the expression of your little one in the last one. Priceless! Teri Mason - Your girls are just precious! So which one is going to become your large canvas??? they are all worthy! but the last one – priceless!! Eileen - OMG…totally loving the last one. She just grew up so quick all of a sudden. Totally love seeing all 3 together. on personal note… I’ve given up..I just decided I’m photoshopping them together from now on…. Robin Hay - Hey Carrie!